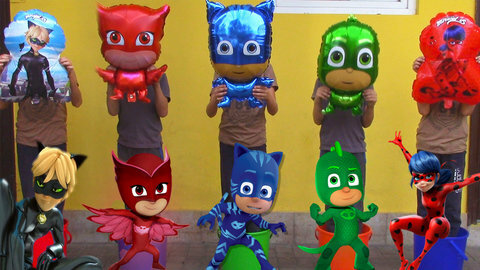 Learn to sing the Five Little Monkeys kids’ song in a fun way with the superhero balloons that Igor and Arina used in this episode of their kids’ videos. Inside colorful pails, big brother makes the superhero balloons dance while cute little Arina calls the doctor for help when the superhero falls. Sing the Five Little Monkeys and see Arina’s colorful masks in this video. Keep on singing other nursery rhymes with these kids when you visit SeeZisKids.com.